Meet Nico! 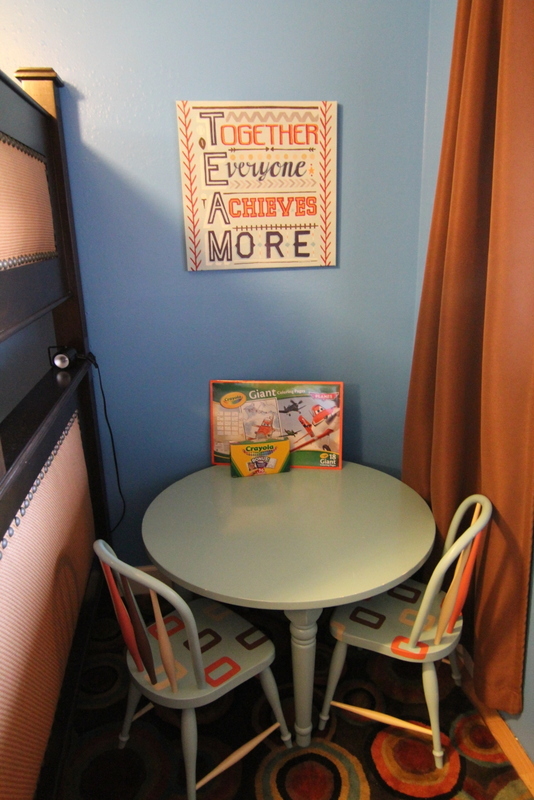 A fun-loving little boy that enjoys art, puzzles and playing with his brothers. Nico's journey has not been easy - but his supportive family has been there for every step of the journey. At just 2 years old Nico was diagnosed with autism. His mother, Jessica would cry alone at night not knowing what she could do for her little boy. His vocabulary consisted of only 4 words and he had trouble expressing himself. At the time, he couldn't gesture or point to express his needs and he was reluctant to play with his brothers. His inability to verbally communicate caused a a lot of pain for Nico. He would cry everywhere the family went and the family would be met with stares. Nico’s Dad, Rafael, and Mom, Jessica, became his advocates and his voice. To ensure Nicole met his developmental milestones Nico started ABA sessions 5 days a week for 2 hours each day, speech therapy and occupational therapy. The journey the family has faced from then to now has been challenging but well worth every tear and bead of sweat. Nico has found his voice and is shining more each day! Nico had taught the family so much about life. It is because of Nico that the family takes to the time to stop and smell the roses, to take a minute in the day to look at each other and simply smile, to make mistakes, to laugh, and to dance! Nico loves pre-school and his friends. He is so proud of his artwork and his crafts. Nico started T-Ball this season and keeps trying to hit home-runs. He enjoys reading with his big brother Julian (his best friend) and drawing Pokémon with him. Nico enjoys the time his oldest brother, Alex, takes to tell him jokes. 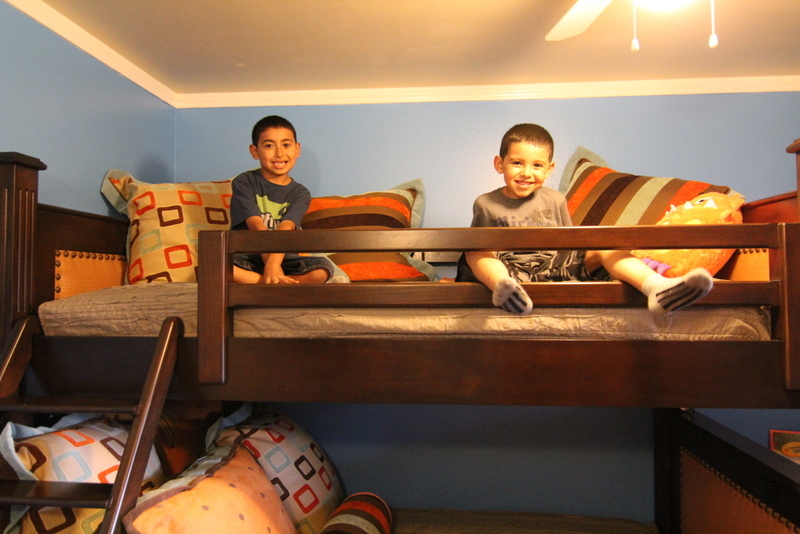 Nico is also such a great big brother to the youngest member of the family, Cristian. They enjoy playing cars together. Nico adores all his brothers. He makes sure that if he gets a snack that all of his brothers are taken care of, too. To go from four words - to saying the words a parent desires to hear most, "I love you," has been a dream come true for this lovely family. Each day before Nico's Dad leaves for work he has to give his Dad a blessing and he yells, "Have a special day, Dad!" For Jessica, the best part is enjoying the hugs and cuddles - something Nico was unable to do before. Jessica appreciates his words but nothing can top when he looks at her with those beautiful, brown eyes and says, "I love you, Mom". Those simple words are all she - or any Mom - needs! The family of 6 is complete with each child bring their uniqueness to make a web of love. Nico’s Sunday school teacher recently shared with Jessica the beauty she sees in Nico. She sees how special Nico is and how God lives so strongly in him. This sentiment is echoed by his Mom. Nico will try to comfort those who are sad. He sings so passionately in Church and his spirit brings smiles and joy to those around him. His mother sums it up best by saying that Nico is a true gift! 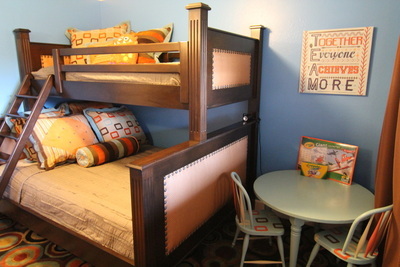 This beautiful family was so grateful to be nominated for a Sweet Dream room makeover. With a big family, it is often hard for Nico to find a quiet place for himself when he is over stimulated. Sometimes loud noises make him nervous or when his baby brother cries he needs a place to curl up and calm down. Thanks to the Cecily's Closet team, Nico now has a special room for him to rest and just breathe. 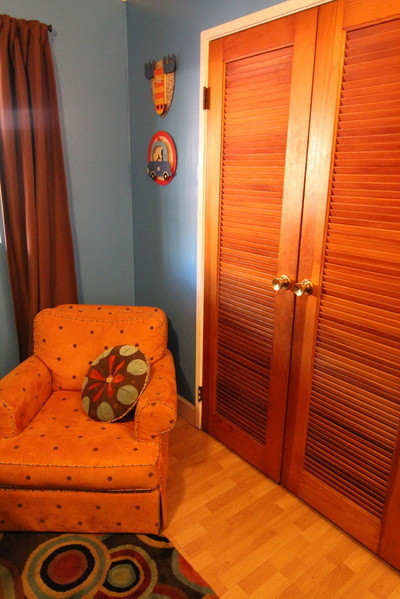 In addition, Nicol has now requested to do some of his home ABA sessions in his new room! The family reports that Nico is very proud of his new room. 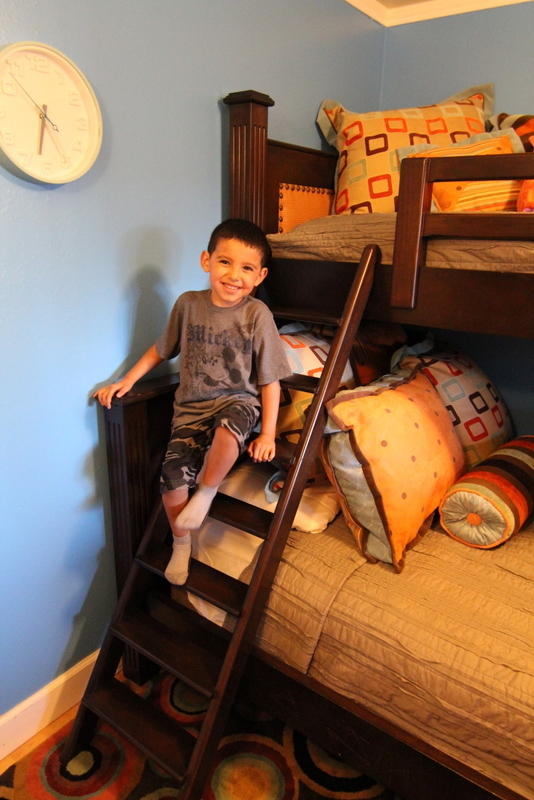 He has started to take pride in having his things in his room and he happily reports that he is "the king of his room!" Nico has so many people in his life that adore him! He loves his family and has fought through so many walls to get where he is today. His journey is not over - but he is blossoming all the time. His doting Mom can honestly say that she looks up to him and cannot wait to see the positive impact he will make in the community and everywhere he goes. 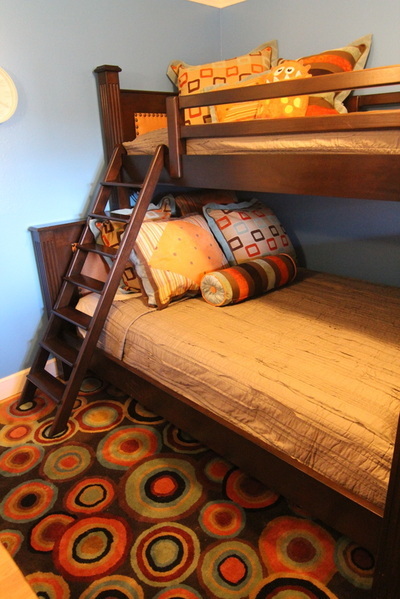 Thank you to Beach Bungalow Designs for coordinating this very generous donation of furniture! 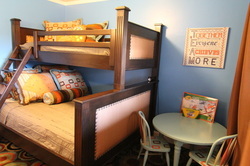 We are so grateful for the beautiful bunk bed, cozy new chair, play table, plush pillows and decorator curtains. 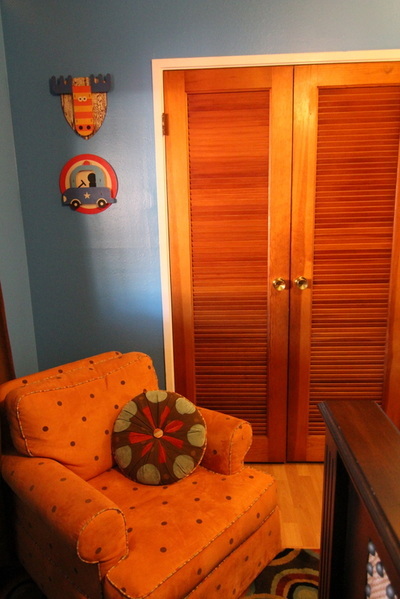 We love the stylish Beach Bungalow look and it made this room just pop with fun and color! And thank you to our Intern Claire for shopping for this beautiful room, picking out the beautiful art, and conducting the interview and writing the family's story. We are so grateful to all of our donors for making Nico's Sweet Dream Room Makeover come true!